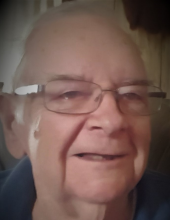 Celebrating the life of William L. McDermott, Sr.
Obituary for William L. McDermott, Sr.
Madison-William L. McDermott, Sr., 88, passed away at his home, on Monday, November 26, 2018, with the love and support of loved ones by his side. Bill was born on October 29, 1930, in Theresa, New York, the son of the late Raymond and Gertrude Seymour McDermott. Bill grew up in Whitesboro and graduated from Whitesboro High School. Following graduation, he started his 21 year-long Army career. Bill was a decorated veteran of both the Korean and Vietnam wars. He served as an Army aviator through two tours of Vietnam, flying the OV-1 Mohawk reconnaissance airplane. He retired in 1969 with the rank of Major. Returning to his home state for good in 1976, Bill enjoyed exploring central New York and Canada on many hunting and fishing trips with his nephew Mike Perry and other friends. He was an accomplished bowler in local leagues, having been recognized for a perfect 300 game and winning the New York State Seniors championship. He also enjoyed traveled throughout the United States as well as Germany and Ireland. In his later years, he followed the local Madison Central School girls’ sports teams and was honored as a #1 fan with signed photos and game balls. Cheering on the teams was a great source of joy for Bill, and in his final days he was honored for his support at an informal celebration held by current and former athletes at the school. Most of all, he loved, and was deeply loved by his children, grandchildren and other family members. Bill is survived by his children, Patricia McDermott, of Boise, ID, William L. McDermott, Jr., of Rome, GA, Michael (Ann) McDermott, of Huntington Beach, CA, and Debra (Steve) McDermott, of Olympia, WA; his sister, Janice Guilford, of Utica; his brothers, Lawrence McDermott, of Olive Branch, MS, Wayne (Dorothy) McDermott, of Clinton, and Richard (Ann) McDermott of Southport, NC. Bill is also survived by his beloved 6 grandchildren, 1 great-grandson, and several nieces and nephews. Bill was predeceased by his parents, Raymond and Gertrude; and his brothers Raymond McDermott, Jr., and Peter McDermott. To send flowers or a remembrance gift to the family of William L. McDermott, Sr., please visit our Tribute Store. "Email Address" would like to share the life celebration of William L. McDermott, Sr.. Click on the "link" to go to share a favorite memory or leave a condolence message for the family.